Bask in the soft glow of yuletide splendor with the Home Heritage 9 Foot Cascade Mixed Pine Christmas Tree. With innovative Quick Set technology, just slide the 3 tree sections together and the prewired light poles will have your space glowing with holiday ambiance in minutes. 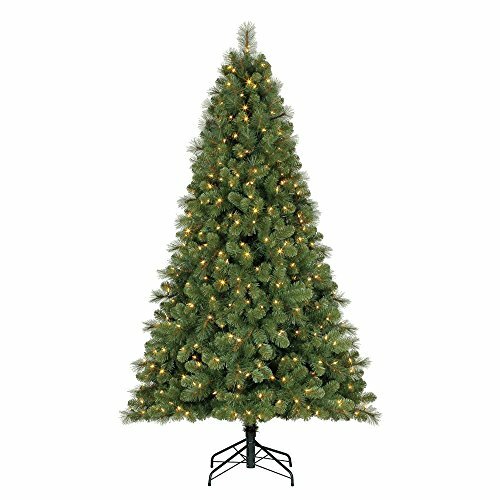 This lush and verdant artificial Christmas tree features 1335 PVC mixed hard needle branch tips, 500 color changing LED lights, and a folding metal stand. Gather the entire family for a storybook Christmas season after season beside the Home Heritage 9 Foot Cascade Mixed Pine Christmas Tree.